New Jersey has among the most liberal criminal discovery rules in the country. The State is obligated to provide defense counsel with a substantial body of material early in the case. This is unlike many – if not most – other jurisdictions. For example, in the federal system, significant amounts of discovery typically appear shortly before trial, leaving defense counsel with little time to review, analyze and investigate its content. In New York County, the only discovery defense counsel may receive early in the case is a “People’s Voluntary Disclosure Statement”, which is a set of form questions that have been drafted and answered by the District Attorney’s Office. (Basically useless.) Not so in New Jersey – Here, defense counsel receives significant discovery up front, often without making a formal request. 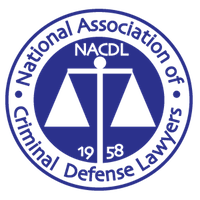 What are defense counsel’s discovery obligations to the State? They are obviously different because defense counsel has to be concerned with their client’s right to remain silent, protection of work product, and the fact that the State – not the defense – has the burden of proof. In State v. Tier, decided May 2, 2017, the New Jersey Supreme Court clarified defense counsel’s post-indictment reciprocal discovery obligations concerning the oral statements of defense witnesses. As the Court noted, this was an issue of first impression in New Jersey. The facts are not complex. Neighbors contacted the police because they believed that CL was having a physical altercation with her boyfriend, Tier. The officers approached the house and heard a woman scream “Help, he’s trying to kill me.” They kicked in the door and saw Tier on top of CL, strangling her. A grand jury indicted Tier for kidnapping and attempted murder. During a status conference, defense counsel refused to provide the State with summaries of the statements of three defense witnesses, arguing that the applicable rules require turnover of such summaries only if they have been reduced to writing. As of that point in the case, no such summaries had been prepared. The trial court ordered counsel to provide the summaries, and to create them if they did not yet exist. The Appellate Division reversed, finding that a defendant’s discovery obligations are limited by applicable rules. Defendant’s trial was stayed pending a ruling by the Supreme Court, which granted the State’s motion for leave to appeal. The Supreme Court ruled that such summaries have to be turned over to the State only if they have already been written. The Court’s ruling was grounded, in part, in the concerns set forth above – confidentiality of work product and a criminal defendant’s constitutional right to remain silent. However, a trial court could still direct defense counsel to identify a witness as either a character or fact witness. Further, the plain language of the applicable rule still obligates defense counsel to provide the State with the names, addresses and birth dates of potential trial witnesses. Finally, the Court also noted that discovery is to be a cooperative process to the fullest extent possible. Centrally located in New Brunswick, New Jersey, the criminal defense firm of James S. Friedman, LLC, represents defendants in the state and federal courts in New Jersey and New York City. If you have a criminal charge in the New Jersey Superior Court, a New Jersey municipal court, the New York City Criminal Court in Manhattan or Brooklyn, or the United States District Court in New Jersey or New York City, contact us immediately to discuss your case and learn about your options.